Saina Nehwal is an Indian badminton player and India’s first shuttler to win a medal at the Olympics. She has been a world no. 1, and the only Indian woman to reach the landmark. Saina has over 23 international titles to her name. Off the 23, 10 are Superseries titles. Saina is an eminent athlete who has given immense contribution in making the sport of Badminton popular in the country. Today she is the face of the government’s Beti Bachao campaign. Saina used to frequent the local club where her mother would play. That proved to be the first exposure to badminton. As there was no professional facility of coaching for children, her father, Harvir had Saina enrolled for Karate. She fell in love with it and went on to ear a brown belt. 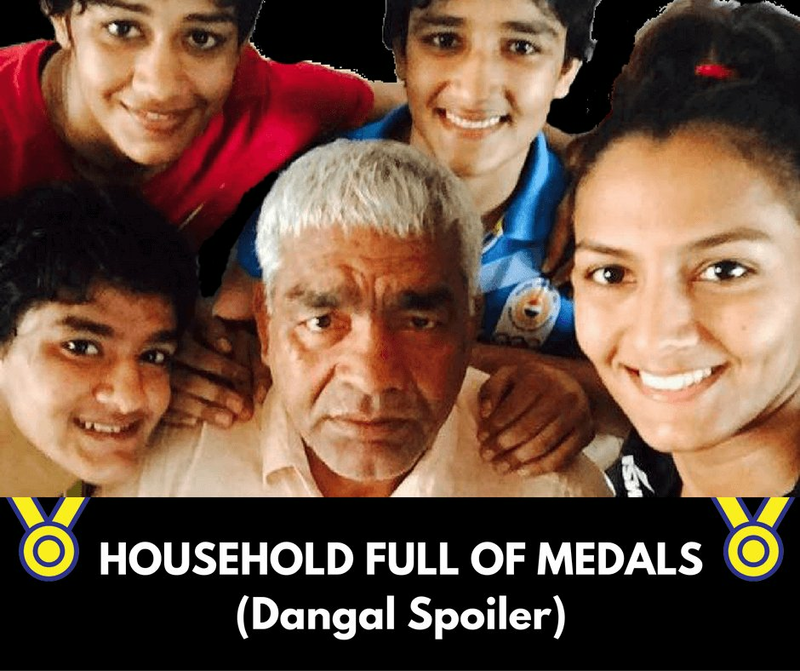 Later on, due to Harvir work, Saina came to Hyderabad with the family. She spent her formative years there. By the time the youngster had arrived in the city, Hyderabad had already become a badminton hub following local player Pullela Gopichand’s phenomenal rise that culminated when he won the All England crown in 2001. At the age of 8, Saina Nehwal was spotted by PSS Nani Prasad Rao, a badminton coach at the Sports Authority of Andhra Pradesh. Watching her talent, Rao convinced her father to allow her to pursue a career in badminton. Harvir Singh backed his daughter’s dreams without any hesitations. She later moved on to Pullela Gopichand’s badminton academy in Hyderabad. The family faced initial hiccups in adjusting to a Telugu speaking neighbourhood. Later, when Nehwal would choose to pursue badminton as her career, financing it was another headache her parents had to face. As a result, they had to sacrifice a lot. Her expenses would range anywhere from INR 25,000 INR 60,000 per month. That included money for top of the line equipment, coaching fees, travelling expenses (the stadium was 30 km away from her residence). Her father, a government servant, recalled how he would borrow money from his friends, colleagues and relatives just so as to provide Saina with all that she needed. The problem was exacerbated by the fact that her sister was studying pharmacy. 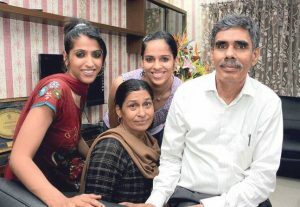 Nevertheless, her parents, especially her mother wanted to see Saina become a national champion and an Olympic medalist as well. Her dream would come true a decade later. Nehwal first caught the country’s attention in 2006, when she became the first Indian shuttler to win the Philippines Open. The 16-year-old had entered the four-star tournament as the 84th seed. On her run to the final, she had demolished many top-seeded players such as she announced her arrival on the international scene. Among them were the likes of Xu Huaiwen, a number four, and Malaysia’s Julia Wong Pei Xiang. That year, she was also a runner-up at the 2006 BWF World Junior Championships, where she lost the hard-fought match to a much experienced and top seeded Wang Yihan of China. 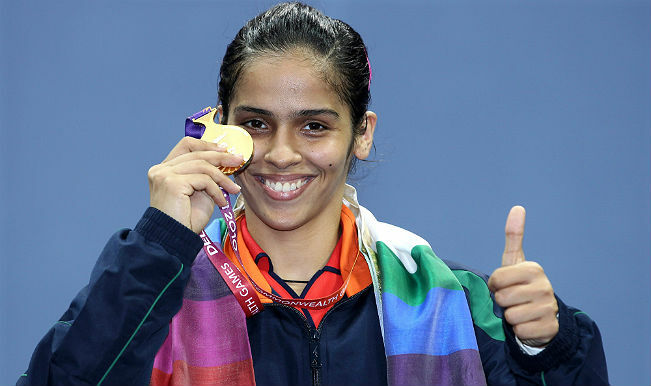 Saina became the first Indian woman to reach the at the Olympic Games quarterfinals in 2008. She upset world number five and fourth seed Wang Chen of Hong Kong in a 3 game thriller. However, in the quarter-finals, Nehwal lost to the world no. 16 Maria Kristin Yulianti in another thrilling 3 gamer. In September 2008, Saina won the 2008 Yonex Chinese Taipei Open by beating Malaysia’s Lydia Cheah Li Ya of 21–8 21–19. Nehwal was, as a result, named “The Most Promising Player” of 2008. She then reached the world super series semi-finals in December 2008. Saina sustained her strong game form in 2009, breaking another record by winning the Indonesian Open, She was the first Indian to win a BWF Superseries title. She had to beat Chinese Wang Lin in the final 12–21, 21–18, 21–9 to earn the honour. Nehwal won a gold medal in the women’s singles event at the New Delhi Commonwealth Games in 2010, helping India finish at the No. 2 position in the medals tally. Nehwal had a relatively disappointing 2011, with the shuttler losing at the Korea Open, Malaysia Grand Prix, Singapore Open, Thailand Open GP and Indonesian Open Superseries Finals. However, something special was waiting for her to happen in the year 2012. Nehwal first successfully won the Swiss Open Title by defeating China’s World No 2 Wang Shixian by 21–19 21–16. She then defeated Ratchanok Intanon of Thailand by 19–21 21–15 21–10, to lift the Thailand Open Grand Prix Gold. On 17 June 2012, she won the Indonesia Open Super Series by defeating Chinese World No. 3 Li Xuerui by 13–21, 22–20 21–19. It was her 3rf Indonesia Open title. On 4 August 2012, she won the bronze medal at the London Olympics after China’s Wang Xin retired from the match with an injury with the match in balance at 18–21, 0–1. She became the first woman to win a medal in badminton at the Olympics and only the second to win any medal after Karnam Malleswari. Nehwal rounded off the year 2012 by winning the Denmark Open Super Series Premier, defeating Wang Yihan 21–12 12–7 in the semifinal. Saina went on to win the Indian Open GP, Australian Open SS, in the coming years to cement her status as India’s best badminton player of her generation. She was the first Indian to win a China Open Super Series. She also reached the pinnacle of her career with a World No.1 ranking to her name, becoming the first Indian woman in the process to achieve the feat. The only other person to that distinction was Prakash Padukone. 2016 was an injury-plagued season for her. Considered a medal prospect for India at the Rio Olympics, Nehwal crashed out of the competition relatively early. She later lamented her decision to participate in the event in spite of nursing an injury. Two years later, she made amends to her disappointing display at the Olympics by putting a strong show at the 2018 Gold Coast Commonwealth Games. She made it to the women’s singles final with a fair ease. However, in the finale, Saina had a challenging tie against a fellow Indian and Olympic silver medalist, PV Sindhu. Nevertheless, her head-to-head record against the latter was in Nehwal’s favour (3-1). The gold medal match was anything but easy, as Sindhu put up a daunting challenge against Saina. However, Nehwal’s perseverance and resilience gave her the edge, with the games ending at 21-18, 23-21. Then 2018 Jakarta Asian Games, she became the first Indian women to win a badminton Asian medal. The European tour in the last quarter of 2018 is turning out to be disappointing, as she lost out in the finals at the Denmark Open and in the quarter-finals of the French Open. In 2018, she was ranked 9th in the BWF rankings. She also earned the maximum of Rs. 80 lakhs in the PBL auctions. The estimated net worth of Saina Nehwal is approximately $ 3 million. Most of her earnings are from career earnings and brand endorsements. Her annual salary is close to around $ 300,000. In 2012, Saina signed an Rs. 40 Crore deal with Rhiti Sports Company. She endorses top line brands like Herbalife, Top Ramen, Vaseline, Sahara India Parivar, and Edelweiss. 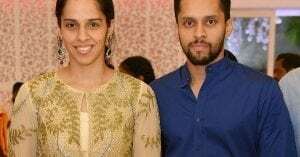 On September 26th this year, it was reported that Saina would marry longtime friend and fellow shuttler Parupalli Kashyap in December. Parupalli is also a seasoned badminton player and a product of Pullela badminton Academy as well. According to the official website of BWF badminton, following is Jwala Gutta’s records over her career in BWF events.